A lot of you may have noticed just how many people are either purchasing, buying, or even building a tiny house on wheels. While these creations are cute and appealing because they look a lot more house like, they are not necessarily the best option for those that want to hit the road or that want to downsize and live more frugally. Here are 10 advantages a standard RV have over a tiny house on wheels so you don’t make a costly mistake and sacrifice the comfort of you and your family! 1. The price for a tiny house is very high per square foot of space. While small houses often cost more than 30K and often 50K, you can purchase a used RV for far less. 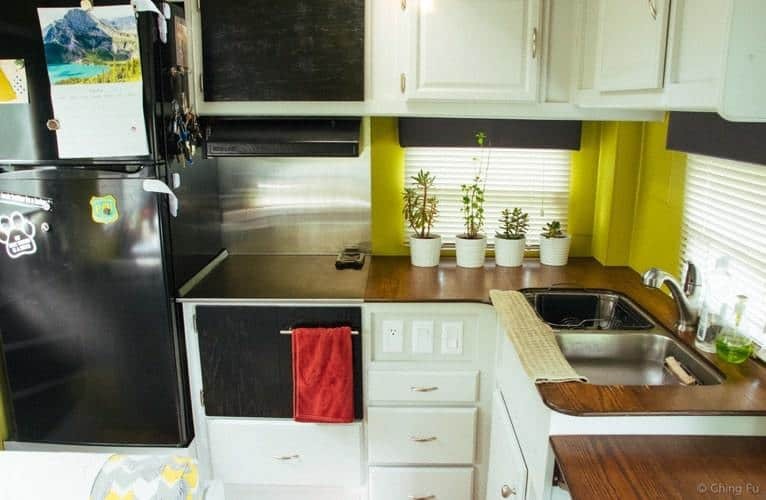 For example, a used Airstream travel trailer bought for 15K might need a little work to look up to date on the inside, even if you invest an additional $5,000 in upgrades, you are still coming in at $20,000 instead of $50,000. Other camper trailers can be had for even less. Sure the newer Airstreams are as much as some houses, but you can find a used one that even though it is 30 years old, is still in pretty good shape. Other camping trailers can be had for far less and can be fixed up to suit your unique needs. 2. RVs have downstairs bedrooms. Many tiny houses have lofts sleeping spaces and that means climbing a ladder quite often. Older people and those with any health conditions might find that a loft is not okay. Lofts are fine for some but over the years most people are not going to want to climb that ladder every time they need to use the restroom. 3. RVs are actually made to withstand long stretches of being on the highway. While a lot of people move their tiny homes around fairly often, the fact is that they are not necessarily made to withstand the wind, oil, water, dust, and debris that can be kicked up when going down the road. If the outside is shingled, then whatever is on the road can be slung up under the shingles and lead to water damage for example. Roof shingles can be lost going down the road. RVs are made to take those long hauls and adventuresome weather conditions that can pop up on your journey. 4. Availability of RVs is greater. Regardless of the popularity of tiny houses, RVs are still much easier to find. You can check any local sales paper or online classified ads and find an array of RVs in all types of sizes. I am not going to say that all tiny houses have composting toilets or alternative bathroom setups but a lot of them do. 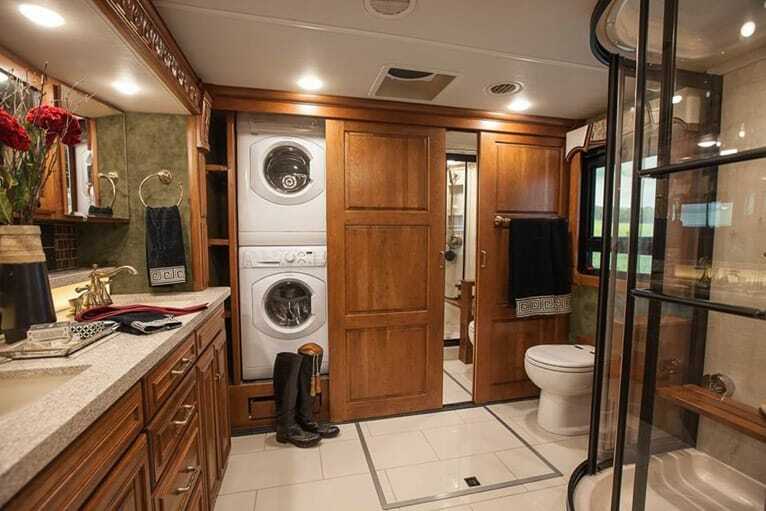 An RV has a bathroom that is a lot more like most of us are used to using on a daily basis. While incinerating and composting toilets can work for some, if they are not cared for and used correctly it can cause problems and smelly situations. 6. RVs are lighter weight for towing and more aerodynamic when going down the road. One part of having an RV or a tiny house is having a vehicle that is capable of towing it. 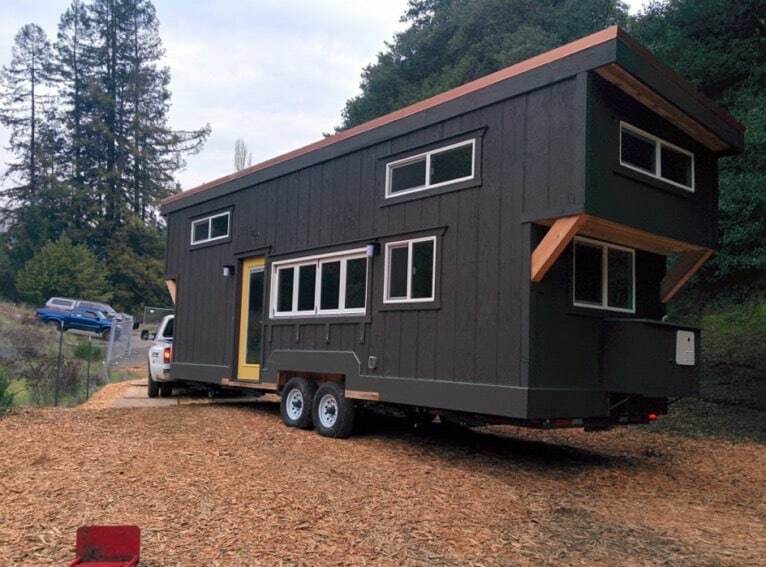 Tiny houses are made more like a stick built house so they are much heavier than the lightweight yet strong materials that are used for RV manufacturing. 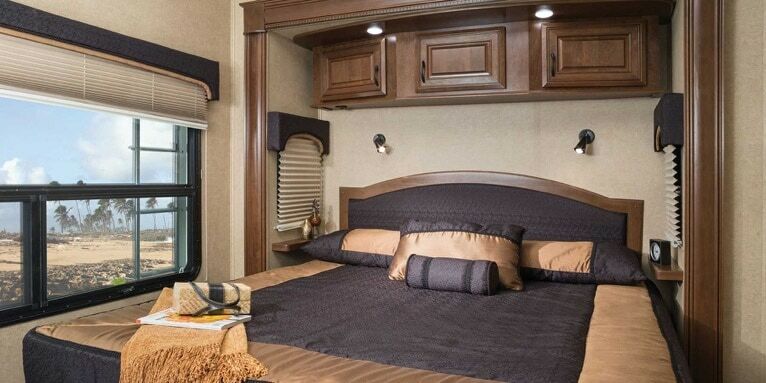 A lot of the cost of an RV is because the weight is considered so much and light and strong materials are just more costly than wood, concrete fiber boards, and shingles. Trailers are made more streamlined so they go down the road with less wind resistance so you have an easier time hauling. 7. RVs have a better kitchen and food prep areas. A lot of the tiny houses you see have very small food prep and cooking areas. If you want an indoor oven and stove combo then good luck. While some people have managed these most prebuilt tiny houses have a few stove eyes and a sink and not much else. Counter space becomes even more valuable because having a dining table is probably not going to happen. RVs have dining tables that can be used for just hanging out and relaxing or as extra food prep areas. 8. RVs sometimes have space for at least a small clothes washer and dryer. While there are a few people that have sacrificed some below counter space to have a washer or a unit that washes and dries, in a tiny house, plenty of those living in them find themselves at the laundromat and that is not cheap. The washer/dryer combos that tiny house owners use are expensive and take a long time to dry so it can take a very long time to do the wash for even 1-2 people. 9. RVs blend in more. Part of the appeal of a tiny house is the appearance. For those that want to just blend end and enjoy themselves, an RV is going to make that easier. If you have a tiny house be prepared for people to ask a lot of questions and even want to tour the inside. If you are a private person, you really need to consider this if you are planning on being on the road a lot and staying at a lot of different locations. 10. Reselling is easier with an RV. People are more familiar with RVs and it is much easier for them to find comparable ones so they can know what value they are getting for their dollar. You can look up the specs on a travel trailer and find out a lot about it. It can be much harder to find information on a tiny house on wheels and putting a price tag on it is also very hard. You may find that you have to take a loss on that tiny house when you go to sell it. 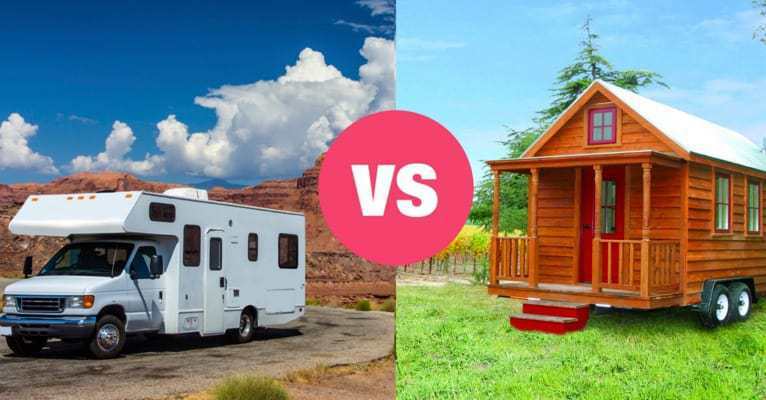 Do you have experience living in RVs or tiny houses? Have you lived in both? Please share with us the positives and negatives you experienced with either one! 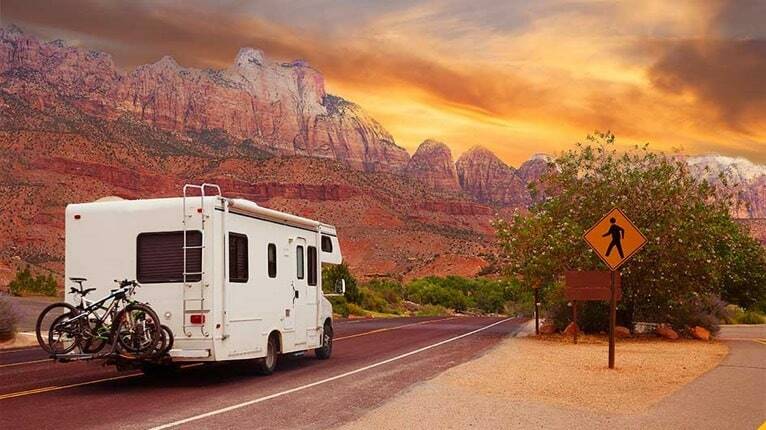 What tips do you have for making life easier when living in an RV? Thanks so much for the information. Although the appeal of living in a tiny house is up there with traveling the world, I do see the benefit of buying an RV. I am 55 (56 in April) and am on disability for chronic pain due to arthritis. So I know a tiny home would be way to much for me. Upkeep, loft bed, and minimum places for my grandkids. I’ll be purchasing an RV for a fulltime home in the future. Once the family home sells I’ll be moving closer to my son and his family. If you have any other articles you could recomend on using an RV fulltime, I’d like to study more on it. I live in East Tennessee and although I may travel some, I would like to have an RV that is 4 seasons. Any recommendation there would be great. Prefer a travel trailer but am open to a 5th wheel.